Just fitted my LeoVince end can and removed the exhaust valve cables to free up a little more noise at lower revs. A quick test ride and i am extremely happy with it. The Leo quality is excellent especially for the price compared to the Akro that in my opinion is ugly. The note even with the CAT still in place is perfect for me, especially in Dynamic modes. This finishes my initial purchase mods and I will just enjoy it now especially as we are coming into summer riding weather in Oz. I went with Evotech for rad/oil guards, bar ends, swingarm bobbins, exhaust hanger and tail tidy. I fitted a Powerbronze dark tint sport screen and i had already ponied up for the high HP seat at time of purchase. 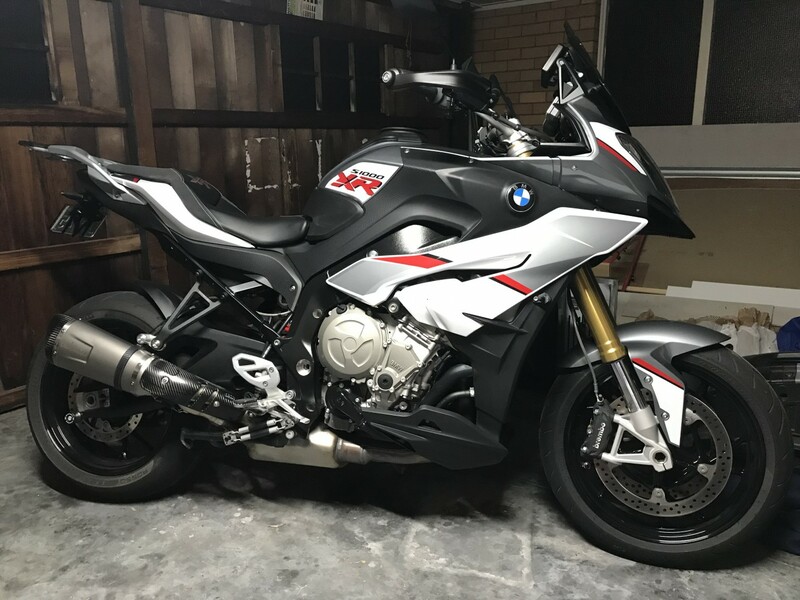 I do covet the HP rearsets and levers but am struggling to justify the cost and after the purchase price and the mods completed my wallet needs a rest.  Where are you Smithy? Thinking of getting the Leo Vince as well. My second choice after the Akra, but it won it on price and looks good quality. Are you running with the baffle out? Much difference like that? I pulled the baffle during installation and don’t plan on putting it back in so I cannot comment in regards to baffle noise. Keep in mind the stock can is basically straight through as all the baffling is done by the cat and exhaust valve so there isn’t a massive volume increase using any end can. The Leo has more bass and sounds less tinny which is pretty much what you want. Also the Leo pulls the exhaust in nice and tight to the swingarm as opposed to the stocker which is sort of out at the breeze. Another unexpected benefit is the Leo link pipe is longer and the can itself is shorter, the benefit for me is my size 14 foot doesn’t foul or touch the exhaust at all even on the balls of my feet. Perfect. I have bought alot of end cans over the years and the quality really is top notch. Its way better than the hideously expensive Termi i had on my Multi which was average to be honest. Its an absolute steal at the price with the carbon heat shield, hanger and end cap. I bought mine off Genial Motor on ebay and it shipped same day and got from Italy to Australia in 5 days! I really recommend those guys. Campbelltown mate...50km SW of Shitney. A westy! know it well. I was born in Blacktown hospital but migrated north in 2001. Cheers.